We ain’t done with Hyperdunks yet… This one is for y’all low-top riders. Low gang stand up! 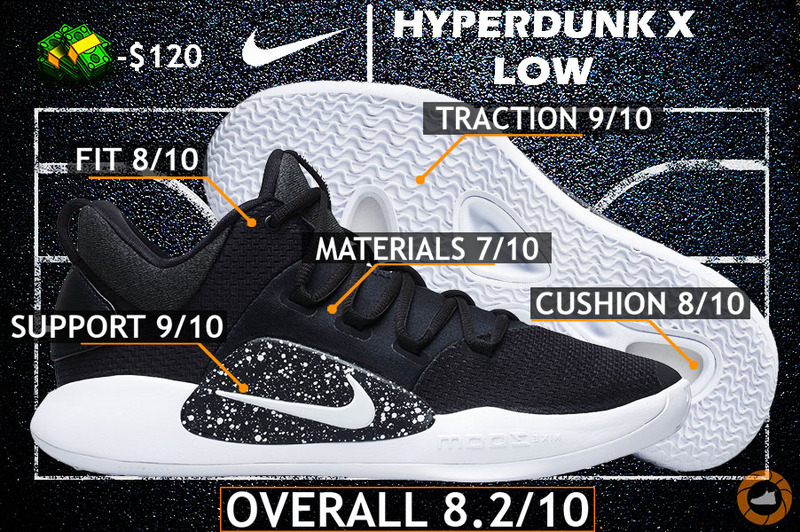 The Nike Hyperdunk X Low performance review in 3… 2… 1… Let’s get it! Nike is still holding us in complete darkness whether a Flyknit version will hit the market or if the anniversary year will remain without premium touch. But with time going further – it seems like the following scenario has more ods to happen. And in my personal opinion, this would make quite a few ballers, including me as well, pretty disappointed. It like scoring your 100th point in 2k MyCareer without commentators giving a damn about it. Now going back on the subject, the Low version is no different from the regular pair as far as materials go. 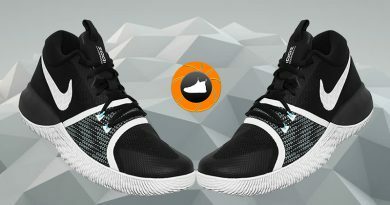 Same mesh/neoprene combo with a small hit of synthetic leather on the external heel counter – neoprene actually being the most exciting part of the whole set-up due to second-skin-like coverage & smoother transition. While mesh itself was definitely not offering the most comfortable feeling in the universe mainly because of it surrounding your toe area instead of sitting right on it. But while you’re sacrificing one thing – the other gets better – and that is containment I’m talking about. What we have received in this year’s Hyperdunk, in my opinion, this version exploits or represents this type of cushion setup better. Obviously, nowadays everyone is wearing low-tops, yet, the majority of them still being guards. 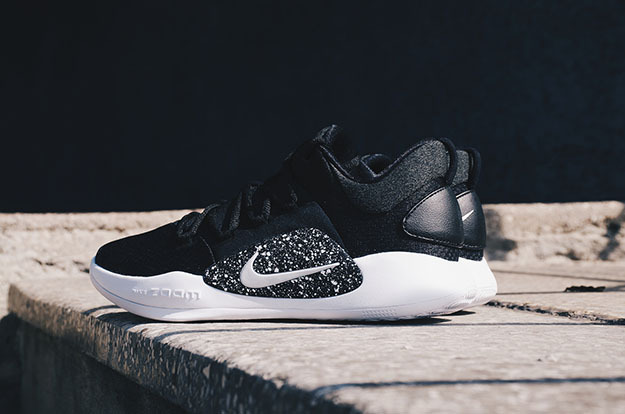 That being the case, that low-profile Zoom Air seems to be exactly what guards would ever want from their forefoot – responsiveness, a tad bit of bounce & you’re golden. Meanwhile, the heel is more up to debate – some of you like it to be heavily cushioned, and some of you want to see the forefoot taking cared over into the heel. Chances are for a shifty guard to pick the high over lows are equal to zero, well, maybe a few percents at its best. 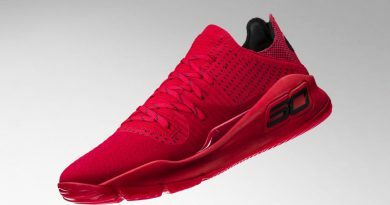 So it would be nice to see the high version taking a small makeover in the cushion department by replacing that quick forefoot with the same stuff used in the back. I think that would make them feel more like the LeBron 15s which is so freaking awesome and crazy at the same time. Also, it would help Hyperdunk line itself hitting a bigger group of players in the same year, as well as to make a more tangible reason to buy one version or another. If you want to read more my thought about its performance, please feel free to click. The grip on indoor courts is freaking scary man… They will eat up everything you’ll through at them and then some – basically like Khabib last night. This year Nike has picked a safe root by slapping on the modernized herringbone pattern, which was by far the best thing they could do as far as picking out a traction pattern for HB’s. The spacing between each groove is fairly wide making channels for dust to come out successfully without staying there. That being said, performance doesn’t hurt from playing on nasty courts – bite with the hardwood stays as killer as on clean courts. While wiping shouldn’t be the main priority either. The only thing these bad boys are lacking is harder rubber to be able to deal with outdoor surfaces. Sorry street players, not this time. Apart from them missing extra material on top – the rest of the did feel & perform completely identical – which means a few inches behind great. However, that small change in the ankle department did not only increase mobility & make them play lighter on feet, but it did also remove the issue I had with the Highs. Whenever my ankles would make a lateral transition from a vertical stand, those sharp edges were immediately digging it to my ankles causing discomfort and pain. Luckily, the issue was completely eliminated by trimming down the ankle section. So now even an ankle sock lovers can wear them without being injured. Oh, and they even got more cushioning around that top liner to makes sure your ankles are feeling comfy out there. The other day I saw an NBA post on IG of Luca Doncic’s custom Hyperdunk X lows – those were freaking dope as hell by the way – but there was one more thing that caught my eye & attention. It was some guy super mad at NBA players who wear low-top sneakers and for that reason getting injured their ankles. That obviously triggered be a bit – I heat up real quick so don’t blame. Anyways, I’m gonna say it again. There’s no such thing as ankle support in a basketball shoe. The cut of a shoe won’t determine the seriousness of your injury. You can only reduce the chances of getting injured by wearing an ankle brace as Steph Curry does. That’s it. Case closed. So that being said, the Low version does NOT get any type of support disadvantage over the Highs. Same semi-wide platform with the aggressive outrigger for a nice amount of stability under your foot. Same rock solid swoosh shield – rock solid not because it’s hella stiff but because you can’t bust it out for the most part. Same internal & external heel counters working like a fine time peace in tandem with simple lacing system by completely locking down your heel & isolating it from any movement. It’s pretty much self-explanatory for the most part. You like that extra material covering your ankles – grab the high-top version. Or maybe you’re seeking for that mobility/freedom/lightness as one package with well-rounded performance – look nowhere further than the Lows. Either way, you go home as a winner. Hope you enjoyed my Performance Review on the NIKE HYPERDUNK X. Will you be picking them up? Let me know! ← Nike Hyperdunk X REVIEW – Back In Business! Nike Zoom Rev 2017 REVIEW – Another Great Budget Model? Probably at some point next year, I’m not sure yet. I actually do have two rotations – one is when I’m not testing sneakers (LeBron 15 high/low versions, AJ 32, UA HOVR Havoc low & Kobe AD NXT 360 more for fun and esthetics other than performance). The second is dedicated for stuff that I’m testing right now (adidas Pro/Mad Bounce, LeBron Soldier 12 & Jordan Fly Lockdown). I appreciate your support bro. 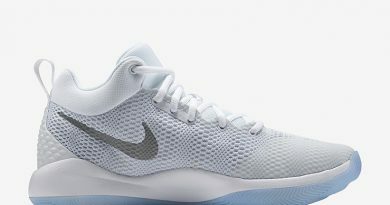 Daumantas Rimkus on Nike Zoom Witness REVIEW – Worth the money? 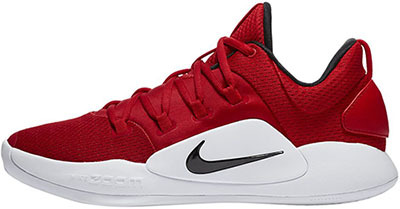 Vishal Kumar on Nike Zoom Witness REVIEW – Worth the money?